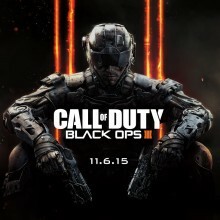 Call of Duty: Black Ops III expands the possibilities of Call of Duty Multiplayer. The new movement system allows players to fluidly chain movements together while playing in maps that have been designed from the ground-up to push strong head-to-head action. Choose to play as one of nine new Specialists, each with their own look, personality, abilities, and level progression system. Finally, equip up to five attachments and an optic while customizing nearly every aspect of your loadout with the new Gunsmith, then tap the power of the Weapon Paintshop to give your weapon a signature look. See you on November 6, the new Black Friday. Pre-order now and get access to the Multiplayer Beta. Learn more about it HERE.